When I decided to make the Mexican cornbread, I knew that I need a vegetable to eat with it. 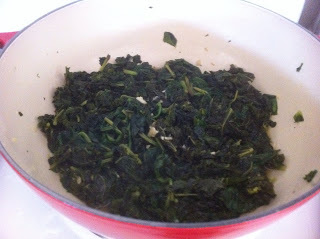 So, decided to saute Kale in garlic. It was quick dish as well as delicious and nutritious. Coarsely, chop kale. Over medium heat, heat sauce pan, add olive oil. 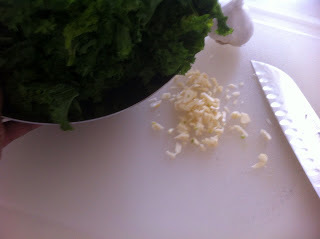 Add chopped garlic to heated oil, then add kale. Add salt and pepper and stir to mix garlic and seasoning. Cover, stir occasionally until done about 20 minutes. 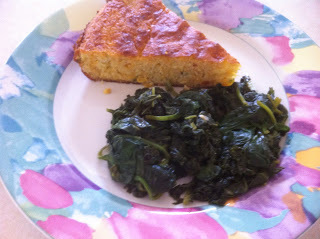 The Mexican cornbread and Sauteed Kale made a great vegetarian meal.